The five elements represent the energy in nature and in you. Each element connects to an internal organ, a body system, and positive and negative emotions. Working with the elements demonstrates the integration between all things. Emotions affect the body, and the body affects the mind. This routine helps us to find balance and harmony from the inside out. The five elements represent the energy in nature, one energy differentiating into many forms. Water flows down the mountain and becomes the trees, the trees reach up toward the sky to absorb the fire of the sun, the sun awakens life throughout the Earth, and Earth condenses into the precious metals deep under the soil. You are part of this five-element cycle, all the elements manifesting within, keeping us connected to nature. 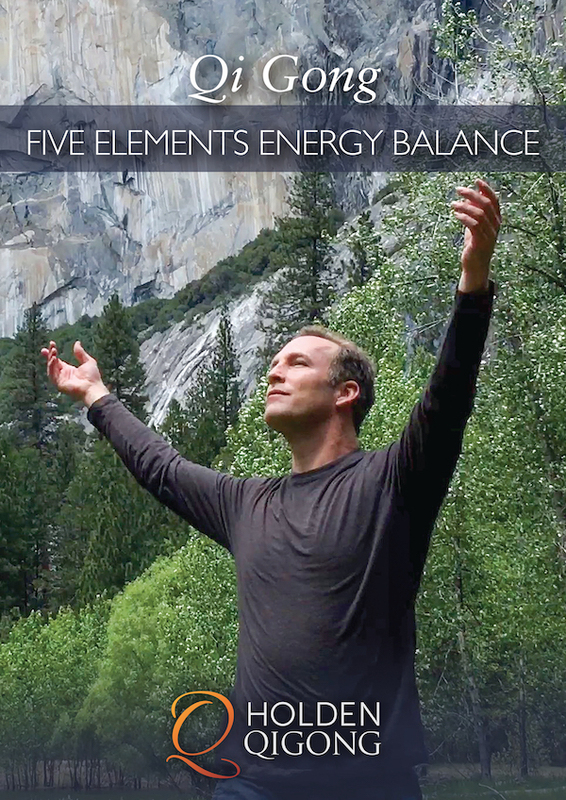 This routine balances the five elements within us. When the elements and energy are balanced inside, we feel happy, healthy, and whole.